A few weeks ago I went to Iowa with my family to celebrate Christmas. It had been ten years since I had last visited my Dad’s family farm. I was excited to be with family for Christmas, and I had come to grips with the fact that my smoked meat habit was going to be on break for a week. When we arrived at the farm Grandma mentioned that she had set aside a 14 lb boneless prime rib, and she wanted me to help her cook it for our Christmas dinner! Of course, I said I would help, and then started making a mental note of all the people in our family that lived in the area, and might have a smoker. Long story short, a cousin who lives about ten miles away had a Green Mountain Grill. We were able to borrow the smoker for our feast. I prepped the prime rib the morning of the feast by adding mustard to the surface of the meat, and then generously sprinkling a rub from the Savory Spice Shop all over the surface. I wanted the rub to soak into the meat for a little bit, so I didn’t get the grill started until I was done adding the rub. That’s when I realized we might face a few challenges. The temperature outside was hovering right at 15 degrees below zero! Despite the incredibly cold temperatures, the cook went well, and the meat was delicious! If you’re planning on grilling or smoking in cold weather, here are a few things you can do prior and during the cook. 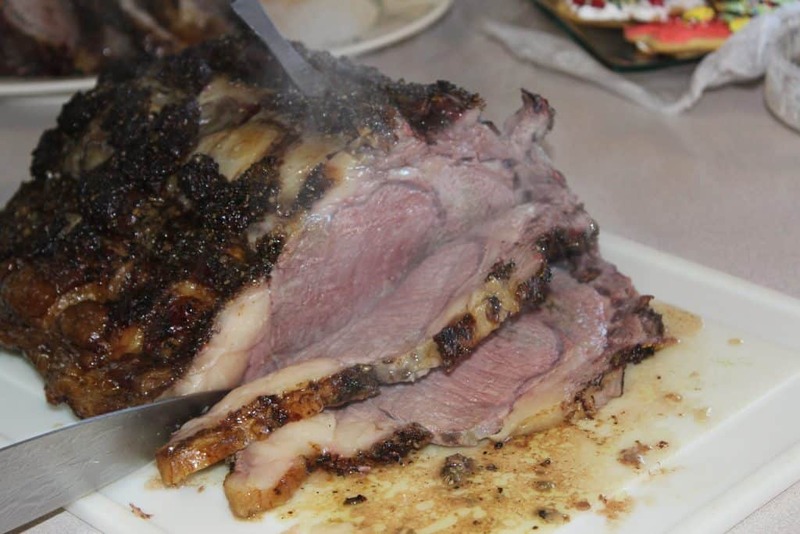 Plan ahead – The principles of smoking meat in cold weather are similar to those in warm weather. It doesn’t matter if it’s 80 degrees outside, or 15 below zero, you should always plan ahead. I’m sure that you’ve heard the term, begin with the end in mind. Always follow that advice. ALWAYS. Clear the Area – Is their snow on the ground? Shovel the snow away from your grill, and make sure the area you will be walking is clear too. You don’t want to slip and fall, or even worse, track snow and mud in the house and get the wrath of your significant other. Look Up – Is there an awning or tree branch above your grill? Move the grill out away from the tree or awning before you start the cook. The last thing you want is a big pile of snow to fall on your smoker in the middle of a cook! Have extra pellets on hand – When it’s cold outside your pellet smoker is going to go through more pellets than normal. Be prepared! During our prime rib cook, I had to pick up an extra bag of pellets because the burn rate was much higher due to the cold temps. Dress the Part – I know you know this, but when it’s cold outside, you need to dress a little bit warmer than normal. Shorts and a T-Shirt are not proper winter attire, even when you’re barbecuing. Keep the lid closed – Another principle that always holds true, keep the lid closed as much as possible. Every time you open that lid, you are letting precious warm air out of your smoker! Keep the lid closed!! Buy a Good Meat Thermometer – I’ve talked about this plenty, but it’s worth repeating. A great leave-in meat thermometer is worth its weight in gold. The best leave-in thermometer on the market is the Thermoworks Signals. Another good option is the Thermoworks Smoke. Buy a blanket – Most pellet smokers will not get up to the temp you’d like when it’s brutally cold outside. You can alleviate that challenge, and also reduce your pellet burn rate, by investing in a good pellet smoker blanket. Most of the major pellet smoker brands sell blankets that custom fit their smokers. So there you have it, my tips for smoking meat in cold weather. Plan ahead, have extra pellets on hand, keep the lid closed, and buy a blanket! 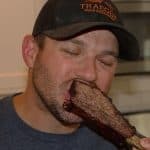 Just because it’s cold outside, doesn’t mean you can’t enjoy some delicious bbq right from your pellet smoker. 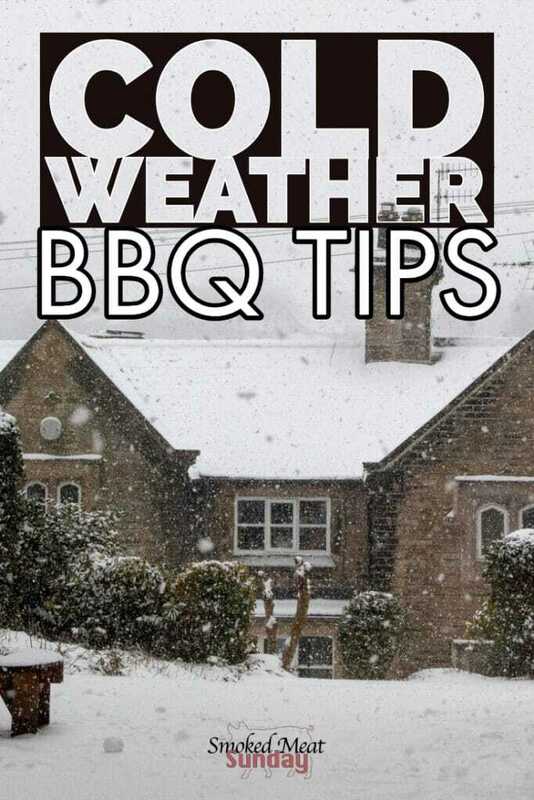 By following these tips, your next cold weather bbq experience should be a great one! 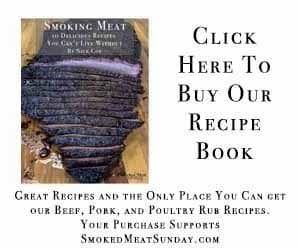 Do you have some other recommendations for cooking on your pellet smoker when it’s cold outside? Leave them in the comments! Love the article? Share it with your friends using the social links on the side or below this post. I have a Green Mountain smoker. When I inquired at the store about a blanket the sales rep told me to buy a welding blanket as it was a lot cheaper. I did and it works well. That’s a good idea! Thanks for sharing and reading Bruce!